Two Chances to Catch Dorthy Fix! The duo Dorthy Fix will be making two pubic appearances in February 2013. You can catch them at the Northsider Tavern in Moorhead, MN on Friday the 22nd. 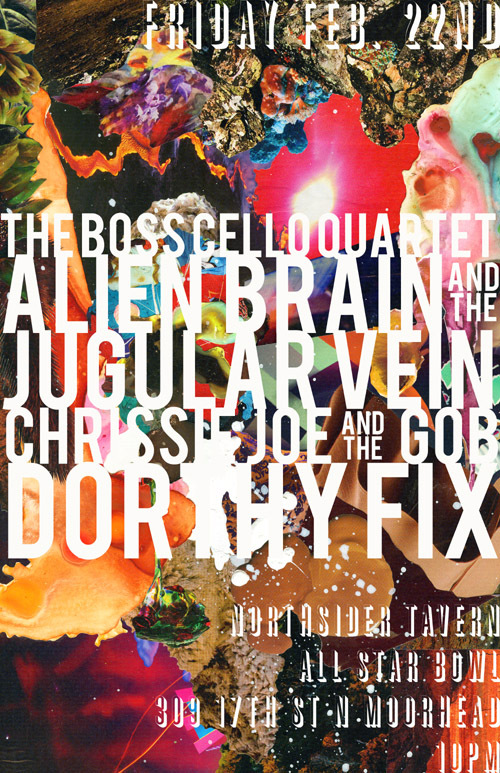 DF will share the corralled stage with: Alien Brain & the Jugular Vein, The Boss Cello Quartet and Chrissie Jo and the Gob. This show is scheduled to start at 10 pm sharp, so come on out and reconnect with independent music in Moorhead! The very next night: Saturday the 23rd; Dorthy Fix will make the trek up north to perform at Ojata Records in Grand Fortks. 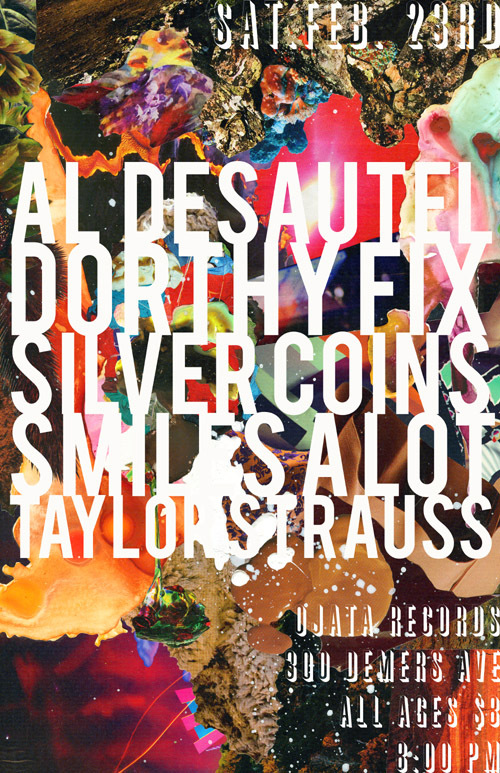 The sounds of DF will mingle in the atmosphere with the likes of: Al DeSautel, Silver Coins, Smiles A Lot and Taylor Strauss. This is an all ages show that starts at 8pm with an $8 dollar cover. Two thousand thirteen marks a decade of music making for Dorthy Fix! This winter weekend getaway will present DF a chance to debut many new songs from their upcoming double album “Heavy Meddle”. Looking forward to casting audio magic across the land…come check it out!